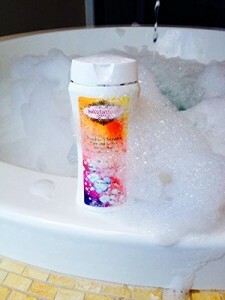 Bubble Therapy Pure & Natural Bubble Bath, 3 in 1 Review by Sweetsation Therapy: Sold by ARGANIA is a Must-Buy! Bubble Therapy Pure & Natural Bubble Bath, 3 in 1 Review by Sweetsation Therapy Sold by ARGANIA is a Must-Buy! This amazing bubble bath, shampoo and body wash, 3 in 1, contains a host of soothing nourishments like, Calendula, Chamomile, and Oat which is perfect for cleansing sensitive skin in both children and adults. It is mild and non-irritating and a little amount creates a lot of bubbles. Oatmilk helps relieve Eczema, while Calendula moisturizes and soothes dry skin. This plant-based formula is gentle for pregnant women, and can be used by the entire family. I really like this Natural Bubble bath! It seems a bit thick like honey but it suds up and is easy to get out of the bottle. I like that it is safe for all ages (even young children) and seems to be good for somewhat sensitive skin. It left my skin soft. My skin tends to be more dry in the Winter. You also do not need to use a large amount..a little goes along way. I am impressed that it can also be used as a shampoo and a body wash. But, the biggest advantage is that all family members can use it. It does not have a strong scent but does have a slight citrus scent. This one really is a Must-Buy! You can purchase at a promotional price, by going here.